The following article from the AFLNT (AFL Northern Territory) summarises the growth of the game in the NT. 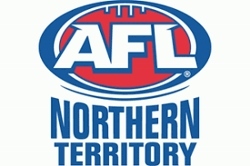 The high points are the increase is higher than the national average – driven heavily by women’s footy – and in an extraordinary piece of data, the participation of people in the Northern Territory playing the game is around one in every five people, making the Northern Territory the highest per capita playing state/territory in Australia – an amazing achievement. 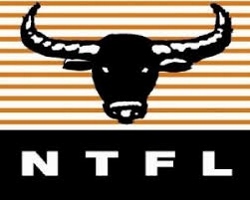 The following article comes from the www.aflnt.com.au website. Today, AFLNT released its 2018 participation data, and for the first time since the record-keeping began, the NT has tipped over the 48,000 mark. Adelaide Crows' Danielle Ponter and Collingwood's Sarah Dargan have been named the Rising Star Nominees in Round Four NAB AFL Women's. 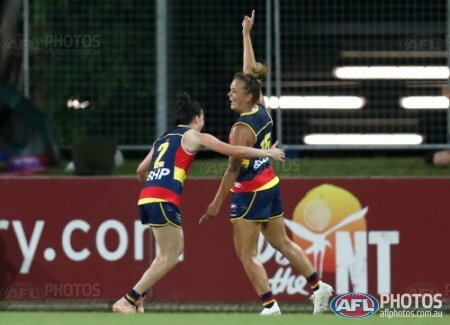 Ponter has become the Crows first nomination for AFLW 3.0. Irish sporting website The 42 reports that the programme that brought Irish players to AFLW will hold their first overseas camp in Ireland later this year. The article looks at the successes of the programme from last year and the benefits for the future, especially by holding the event close to a pool of Irish players for greater opportunity. AFTER THE HUGE success of the 2018 programme, CrossCoders have announced that they will host their first-ever overseas AFLW camp in Ireland this May. Last September, 11 Irish hopefuls went to Melbourne for an intensive week-long trial with Donegal’s Yvonne Bonner, Tipperary’s Aisling McCarthy and Clare native Ailish Considine all signing professional rookie contracts off the back of it. The three Gaelic football stars have been successful products of the programme thus far, impressing with Greater Western Sydney (GWS) Giants, the Western Bulldogs and Adelaide Crows respectively. The two matches in the NTFL Premier League finals series on Saturday have again seen the agony and ecstasy of a season finished or a season on a roll. 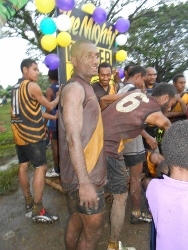 Waratah kept their flag hopes alive and the Tiwi Bombers continued to be the form team in the league. Last year’s grand finalists, the Darwin Buffaloes, had an early exit and end to their season whilst the Southern Districts Crocs lost but can fight another day. The Nightcliff Tigers watched on and learned as the other teams battled before them. The first match of the finals at TIO Stadium saw Waratah and Darwin battle for the second successive week. Last weekend it was jostling for finals positions – this weekend it was sudden death to the loser. Remarkably, the script was eerily similar. A tight first quarter was followed by a big Waratah second quarter. At half time, Waratah were five goals up, also similar to last week. North Melbourne Tasmanian Kangaroos triumphed to a four-point win over Melbourne at Casey Fields in the South East of Melbourne in the humid conditions. 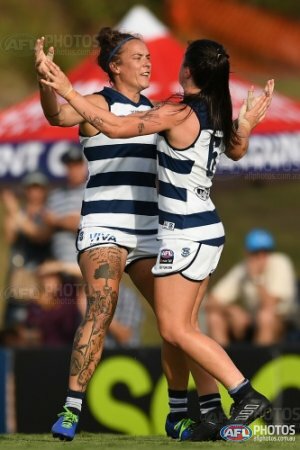 It was North's first real test of this years competition in what was one of the best AFLW matches skill and pressure wise. Hope and King guided North to the tough victory. 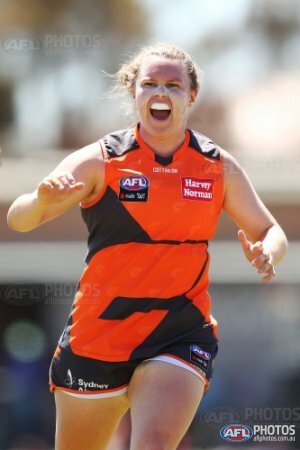 The GWS Giants secured their first win of AFLW 3.0, as they narrowly defeated Collingwood by nine points in warm conditions at the Morwell Recreation Reserve. 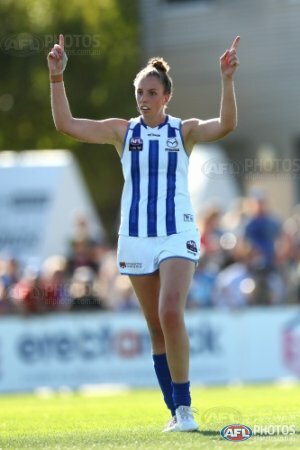 It was the first ever AFLW match at Morwell. The Adelaide Crows were unstoppable against the Fremantle Dockers at the TIO Stadium, as they demolished the Dockers by 41 points in steamy and hot conditions in Darwin.